The Garden Goddess Head Planter makes a truly unique statement in the garden! 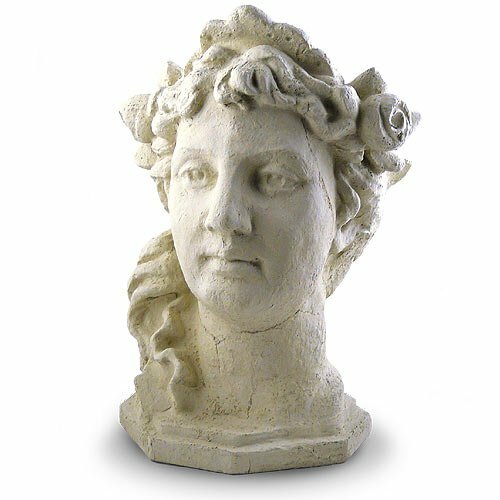 Cast in solid concrete, the ornate design is reproduced from an antique bust, repaired and reconstructed into an elegant planter. The planter is best for 6" container sizes and includes a drainage hole. Measures 17" high x 11" wide x 10" deep and weighs approx. 44 lbs. Created by hand in California. Please note: This item cannot ship internationally - US only. This item is not eligible for expedited shipping. Please allow 3 to 10 business days for delivery. If you have any questions about this product by Modern Artisans, contact us by completing and submitting the form below. If you are looking for a specif part number, please include it with your message.